Royalty-free stock illustration of a cautious caveman wearing a necklace made of bones around his neck and holding a bone with his one hand. Royalty-free stock illustration of a muscular caveman flying onboard a cute prerodactyl dinosaur with its wings spread wide open. 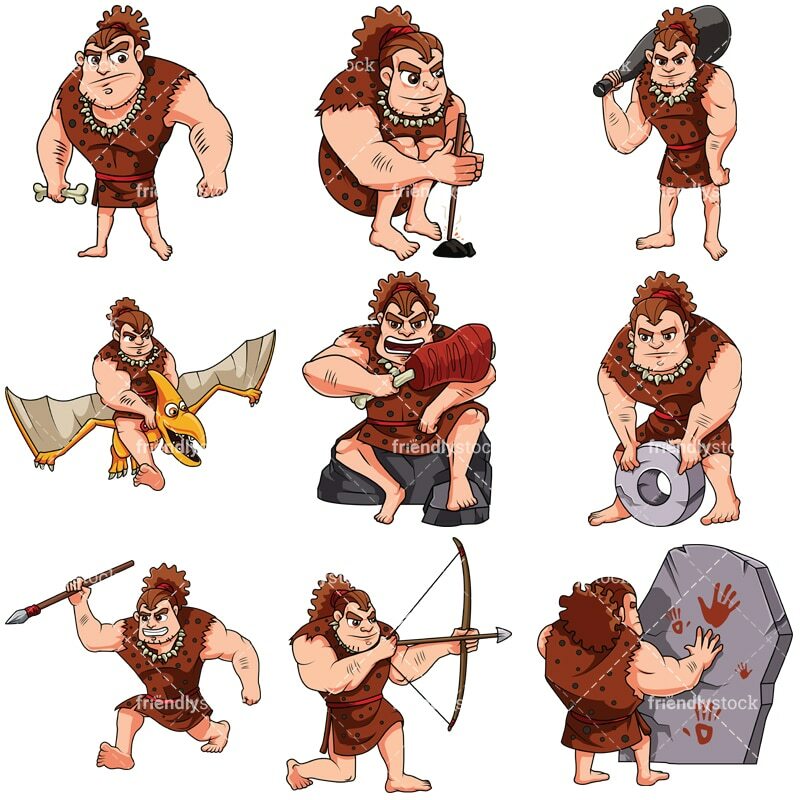 Royalty-free stock illustration of a masculine caveman on a hunt with his sharp spear. Royalty-free stock illustration of a caveman trying to make a fire by rubbing wooden sticks together. 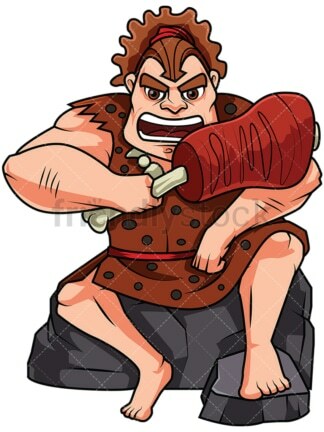 Royalty-free stock illustration of a masculine caveman holding a big piece of meat by the bone and getting ready to grab a bite. 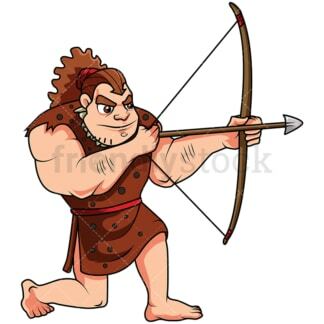 Royalty-free stock illustration of a caveman on a hunt, pulling the string of his bow while preparing to fire an arrow towards his victim. 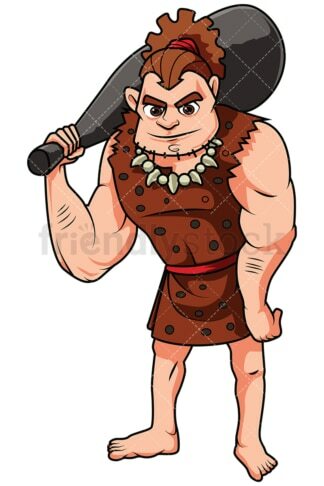 Royalty-free stock illustration of a masculine and confident caveman holding a huge bat on his shoulders. 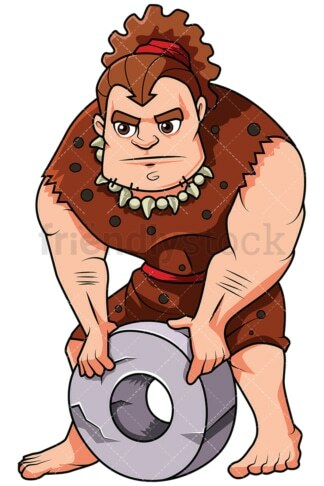 Royalty-free stock illustration of a masculine caveman holding a wheel made of stone. Royalty-free stock illustration of a masculine caveman painting on a stone with his hand.